Bank has started implementation of “Digital Portable Branch” with an objective to reach out to technically savy as well as traditional rural consumers through 24X7, self service, simple and easy to operate banking outlets. It is also designed to optimize footprint, cost of ownership and implement improved processes. 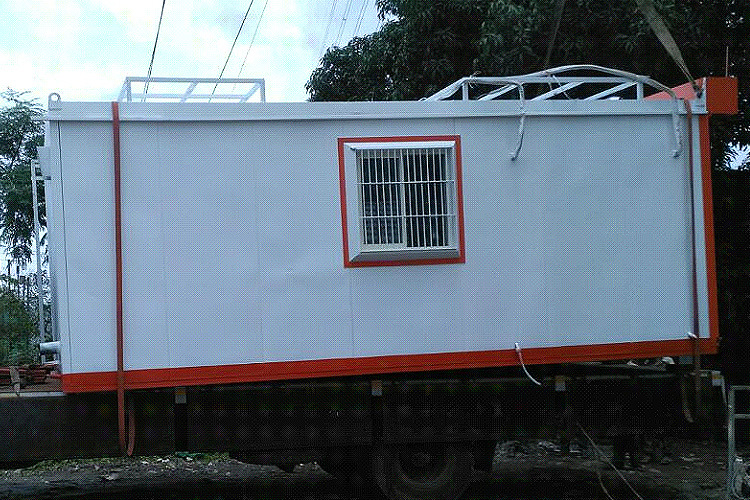 To overcome these issue and to provide customer a hassle free and convenient banking services, Bank has introduced an innovative portable pre-fabricated model of branches. Power requirement – In these branches Power Points are available. Region is required to provide three phase power connection along with the power backup through 7.5 KVA UPS and Generator. Supply of power to machine will be through UPS. Network Point Requirement - In these branches LAN points are available. Regions are required to apply for lease line connectivity and arrange network equipment like Switch and Router. Machine requirement - List of low hits ATM / SSPBP is already provided to Regions/Zones. Regions are required to shift the low hits ATM / SSPBP to “Digital Portable Branches”. Our department will provide the Account Opening Kiosk for these branches. Recently, inspired by our Hon’ble Prime Minister’s CALL of “DIGITAL INDIA” , our Bank’s MD & CEO has initiated, yet another landmark step by setting up “DIGITAL PORTABLE BRANCH“ - with an objective to reach out to the last people in remote rural corner, educate and make them DIGITAL savvy and embrace them in the economic development process of the nation. This is first of its kind “Digital Portable Branch” in Indian Banking Sector. Digital Portable branch is a pre-fabricated branch equipped with Self Service Machine like Account Opening Kiosk, Cash Dispense, Passbook Printer etc. to provide round the clock retail Banking services like account opening, cash withdrawal, passbook updation, balance inquiry etc. to customers without any manual intervention. These branches can be work as a full fledge branch. Digital Portable Branch is a solution of the problem faced by Banking Sector to implement the “Brick and Motor” Branch like take long implementation time, lack of uniqueness etc. The launch of Portable Digital Portable Branch is a Win-Win proposition for Bank and customer as both are benefited since the service delivery is on self service model and no waiting period for customer for availing these services. 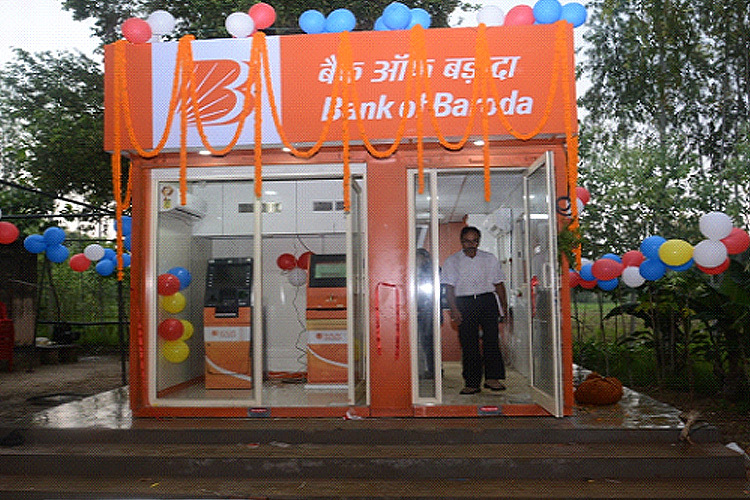 To provide customer a hassle free and convenient banking services through self service machines by leveraging Digital Technology, Bank of Baroda has launched an innovative portable pre-fabricated model of branches and brand it as “Digital Portable Branch”. These branches are equipped with Digital Self Service Channels like Account Opening Kiosk, Card Dispenser, Cash Dispenser, Passbook Printer etc. to provide customer round the clock basic banking services from account opening to passbook updation. Use of Self Service Digital channel has reduce the staff requirement of these branches from existing 5-6 staff to 2-3 staff. These branches are also run as a BC point. These Digital Portable Branches are easily transportable from one place to another place and will be implemented in any part of the India in just 7 day. Bank has demonstrated the branch to Finance Ministry. They have appreciated efforts of digital initiative taken and implemented by the bank. Bank has also demonstrated the Kiosk to the BBB Team led by its Chairman Shri Vinod Rai along with BBB members. They have appreciated efforts of digital initiative taken and implemented by the bank.